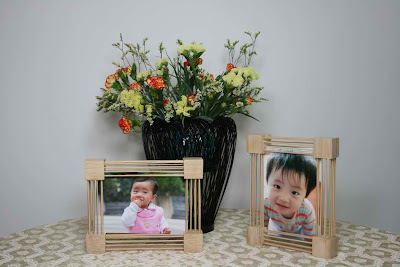 The bamboo made photo frame which can locate 4R and 5R, and both sides can use for putting the photos. The design allows the photo frame to put in vertical or horizontal from its mechanical design. The photo frame made with the bamboo wires and left the space in the round of the photo frame where allows the user to decor their photo frame too, such as putting the flowers or any stickers together. It’s also completely naturally made with bamboo without other chemical add-ons, so, it allows the DIY user to paint whenever any colors they want or any pattern that they can innovate.